Techrules will reveal the production design for its high-performance Ren RS supercar on 6 March 2018 at the 88th Geneva Motor Show. In addition to establishing key partnerships with China-based global companies, Techrules is in discussion with potential international automotive partners to form strategic alliances to assist with the production and launch of vehicles for markets around the world. The performance-focused Techrules Ren RS is a new single-seat, light-weight variant of the Ren supercar first previewed at last year’s Geneva Motor Show. Presenting a similar dramatic, aerospace-inspired design and fighter jet-style canopy, the Ren RS has been crafted by world-renowned automotive designers Fabrizio and Giorgetto Giugiaro. Designed for track use only, Ren RS has been honed for high performance racing by renowned motorsport specialist L.M. Gianetti of Turin. 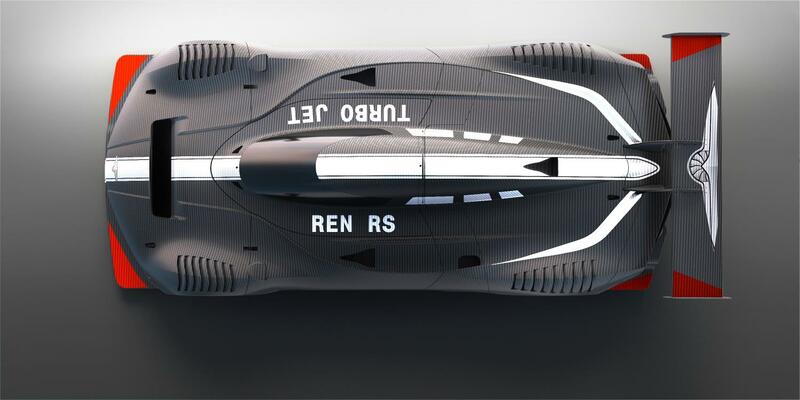 The Ren RS can be configured with four or six electric motors – with the latter configuration featuring two motors at the front and four at the rear, delivering a maximum power of 960 kW (1,287 hp/1,305 ps) to launch the car from 0-100 kph in just 3 seconds and on to a maximum speed of 330 kph. Techrules is making significant investments to grow its own research and development capabilities. World renowned electric vehicle expert Prof Dr Ching Chuen Chan is leading a newly established Techrules R&D centre in Beijing, which develops and tests core components for different types of turbines, as well as complete turbines for powertrains of commercial and passenger vehicles. Professor Chan has a long list of merits. He is the founder of the Electric Vehicle Association, a Fellow of the Royal Academy of Engineering in the UK and an academician of the Chinese Academy of Engineering. Visitors to the 2018 Geneva Motor Show can find out more about Techrules and see the Ren RS on Stand 2051 in Hall 2.